The Library is running our web 2.0 for researchers programme in February 2013, aimed both at PhD students and postdoctoral researchers. This course gives participants the opportunity to consider the implications of using web 2.0 tools and technologies (also known as social media, social software, new or emerging technologies) on their online (and consequently research) identity as well potential legal and ethical impacts. 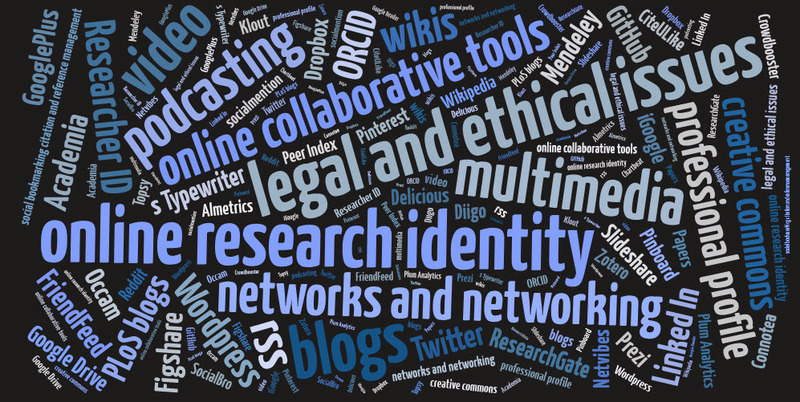 It also enables the exploration of social media / online tools and their relevance to research and related activities. The workshop will take place on Friday 1 February and the online modules will need to be completed by the beginning of March. It is expected that approximately 4 hours will be needed to complete the programme. Participants will be encouraged to contribute to a group blog set up for recording experiences and views on the topics covered by the programme. If you are postdoctoral researcher then email Andrew Day to book your place. Along side the programme we will be running a Twitter for Researchers and Mendeley for Researchers workshop. These will both take place in February. We will post details on this blog (and on the library website) when they are confirmed.